Numerical analysis, numerical linear algebra, computational fluid dynamics, parallel computation. H.S. Stuyvesant High School 1971. See Google books for more information. 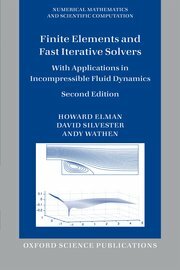 The Incompressible Flow & Iterative Solver Software (IFISS) package is a software library that generates the algebraic systems arising from finite element discretization of the diffusion, convection-diffusion, Stokes and Navier-Stokes equations and explores solution algorithms for the associated problems. It is an open-source Matlab package associated with the book referenced above, and which can also be used as a stand-alone experimental library.